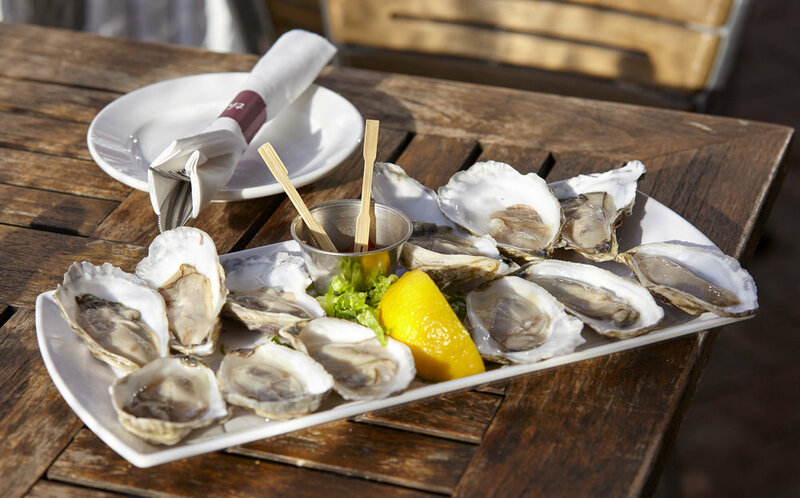 the red house features 2 for $1 oysters everyday ( minimum of 6 ) from noon - 5pm & 9 pm - close. Everyone's first dozen oysters are priced at 2 for $1; after that oysters are just $1 each -- still a great deal! Between 5 pm - 9 pm , oysters are still only $1 each. The origin of our oysters will be subject to change. Sorry, reservations are not accepted for oysters & drinks tables. Oysters and shrimp are served in the bar and weather permitting, on the patio -- these tables are all seated on a first come, first serve basis only. Reservations may only be made for Dining Room tables if you are joining us for full lunch or dinner menu, and a minimum charge can apply. This is a unique deal, and we really appreciate your consideration in following the few small rules we have. Now, please pass the Tabasco!